Every summer, I feel very sorry when I take the lawn mower to the beautiful long grass, and all the lovely wild flowers growing in it. There are many bees happily buzzing about in there, enjoy the sweet nectar. A common sight in my childhood, New Zealand honey bees have become less and less over the years. I treasure their presence. So I have begun to keep a small patch of wild grass wilderness in the garden, just for the bees and the skinks. 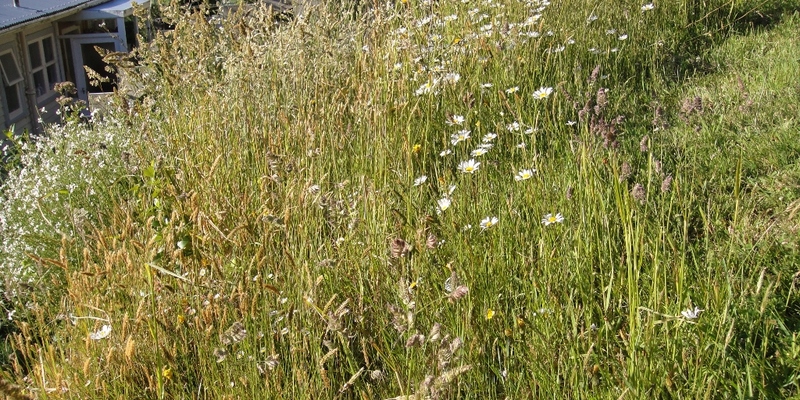 This patch is in the corner of the garden, on the edge of a slope, so it is a natural place to leave wild. 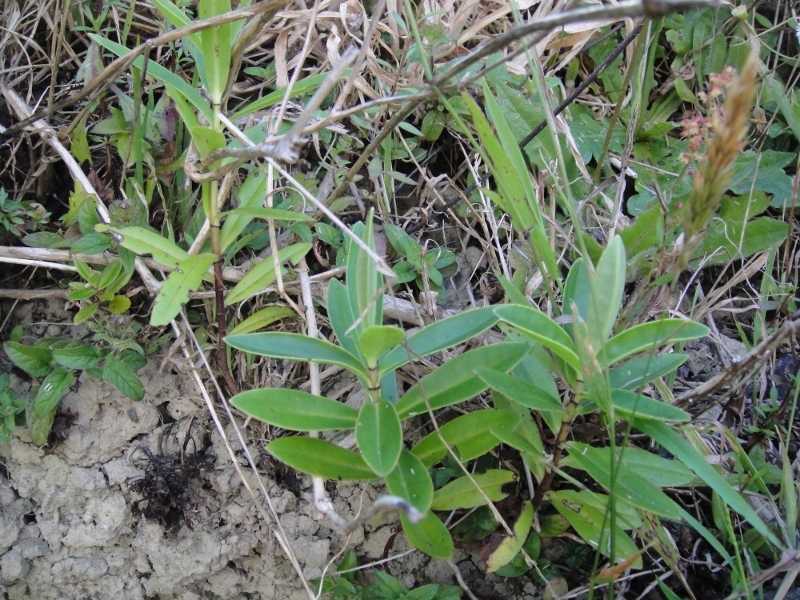 Under the grass is a patch of rocks, put there by a past resident of this house, under which skinks live. They are the common skink, but I am very fond of them. Unfortunately, so is the cat. I decided to leave let the grass grow wild in this particular spot also because it made it harder for him to find and catch them. It seems to work (I hope!) He has caught less this year, very thankfully. 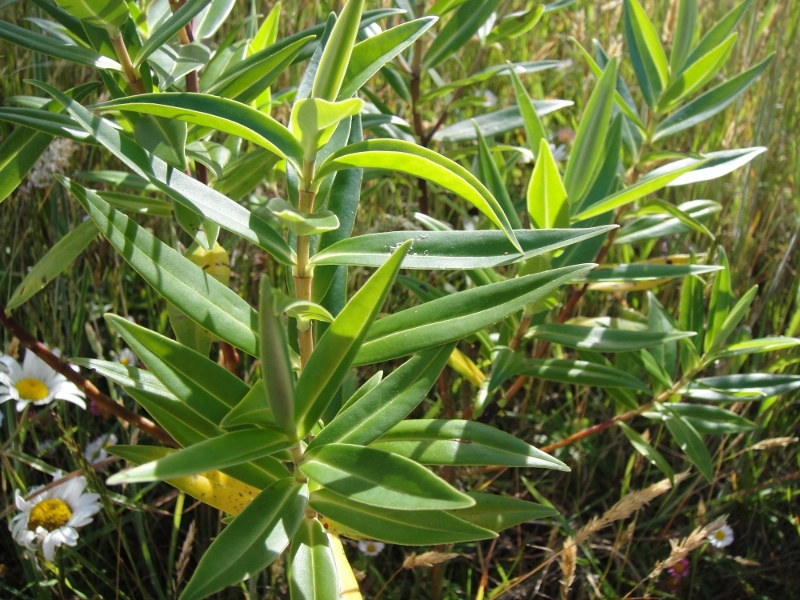 This patch is not exactly a pristine New Zealand native flora preserve. It’s quite weedy actually. I do take out the more horrible things like nettles and ragwort, but unless I indulged in a major replanting (not a good idea in a rental property) there is not much I can do to have anything else in there. 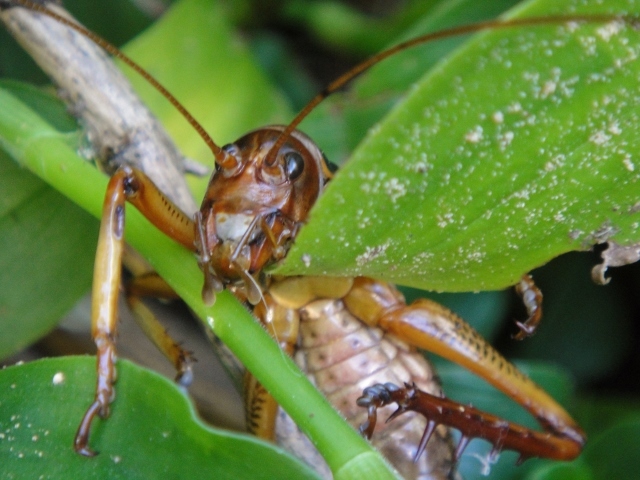 This madam weta waved her claws at me indignantly as I was doing some judicious weeding at the bottom of the slope in the shady area one day. I love these critters. There is something about them that I really like. The bees just love the honeysuckle, that grows along the fence. 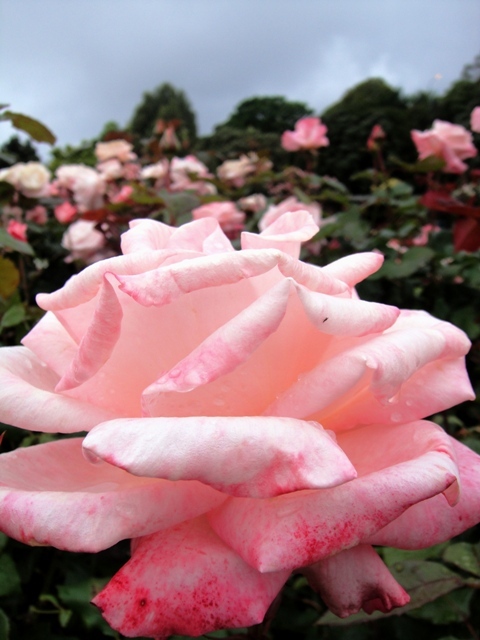 Its sweet fragrance fills the air. Such a delight! Here is one of my lovelies, enjoying some sweet wild radish. 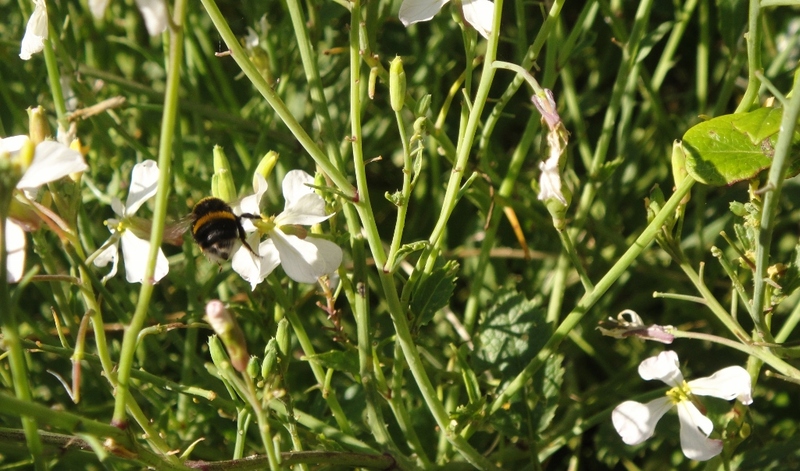 It is not a honey bee, but a smaller common bumble bee, Bombus Terrestris. This was a very busy little thing, I followed it around as it visited each flower. More weeds… Mexican daisies. 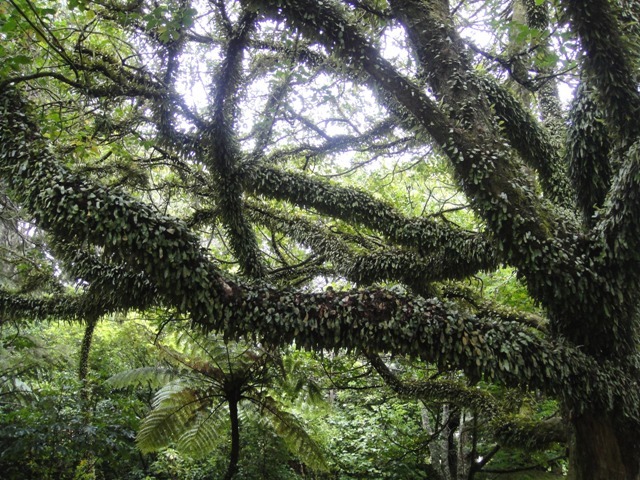 Very pretty, but an official pest plant in this part of the world. They have at least been contained to this one area of the garden, plus I think my landlord would have an issue if I ripped it out as it was growing here when I moved in. 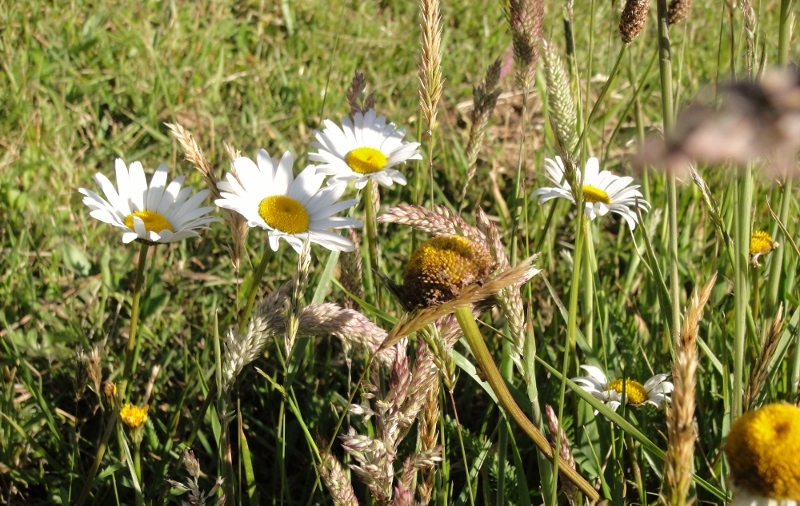 I do love these oxeye daisies. Apparently, dairy farmers hate it because the cows don’t like the taste, and they can take over paddocks as a result. Sheep like to eat them though. It may be a weedy little patch, but the plants are keeping up the bank (which was crumbling before I allowed the plants to take over), and it is giving the bees food, and they make this part of the garden look very pretty with all the flowers. Nature is taking its course though, as I see the process of reforestation taking place before my eyes. 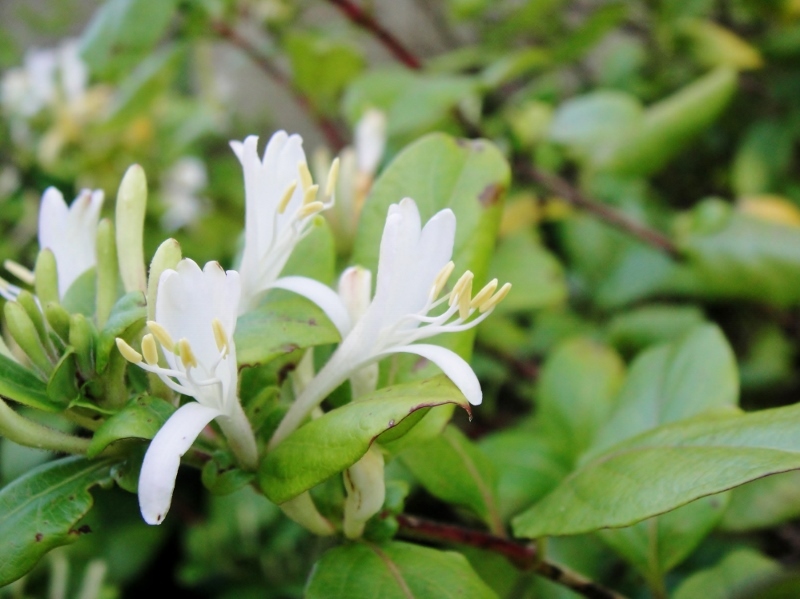 Larger plants are growing in – hebe and coprosma, both hardy New Zealand natives that grow easily and naturally in this part of Wellington. The hebe has very lovely flowers, which range in colour from the palest mauve to lipstick pink and magenta, and in another year or so, some very pretty flowering bushes will be growing along this bank. 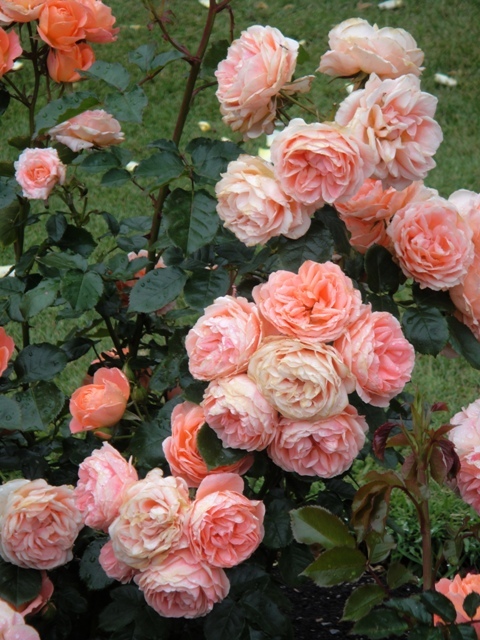 They can be kept trimmed and pruned, and will look lovely. 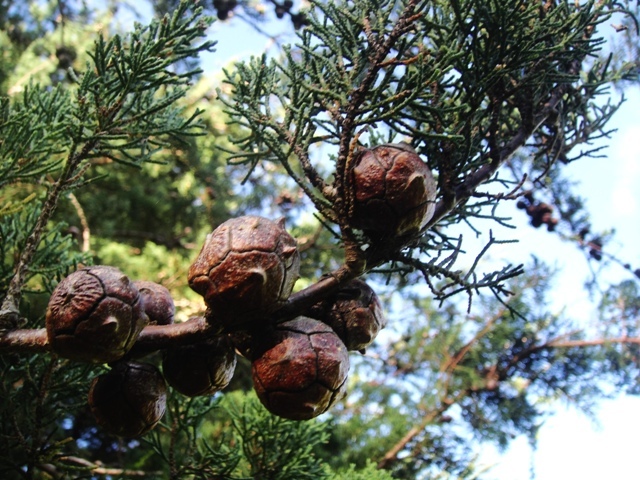 It’s a natural regeneration process. 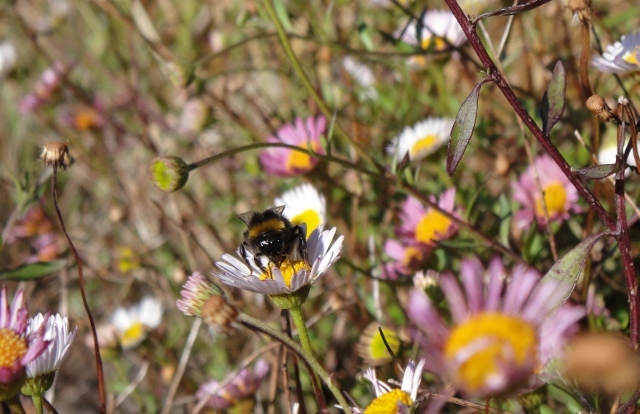 In another couple of years, the weeds will be gone, and the natives will have replaced them, and they will continue to provide food for the birds and the bees. Perhaps allowing the grass to grow long has brought more benefits than I hoped? 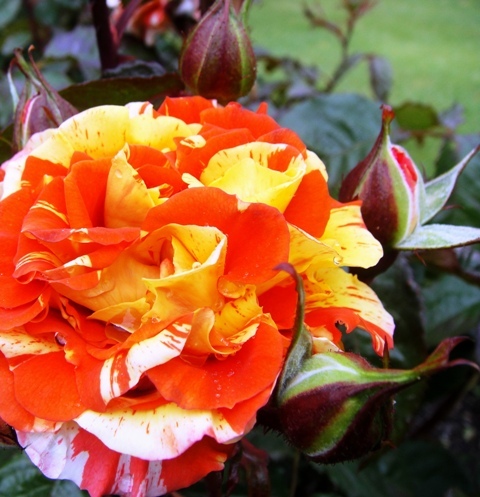 Categories: New Zealand natives | Tags: nature, New Zealand natives | Permalink. 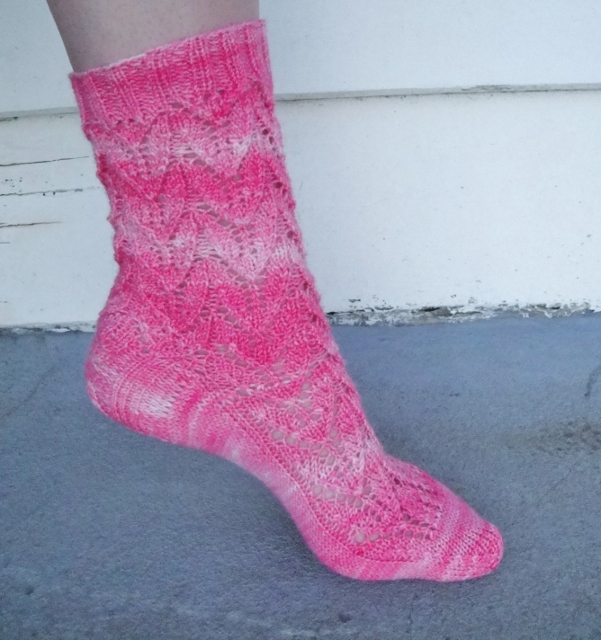 I had a rather boring post drafted today about how I’ve done it again and knitted three socks and not one pair… but then I decided it would be far more interesting to share these New Zealand insect cuties with you today. 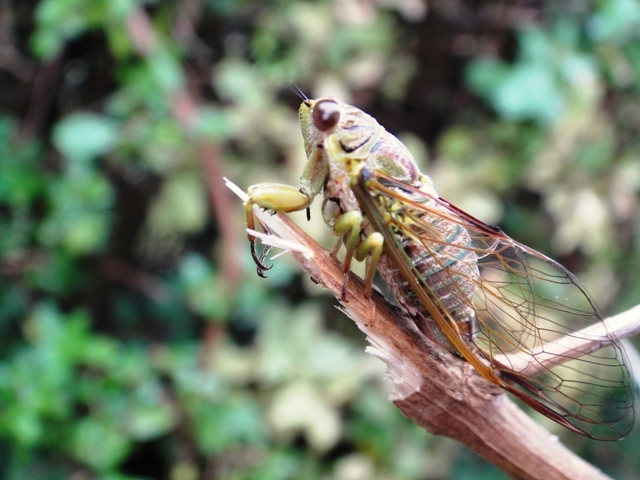 I know that not everyone will see the beauty of these insects, but I think they are really quite awesome. This nursery web spider nest has been built over a number of flower heads. 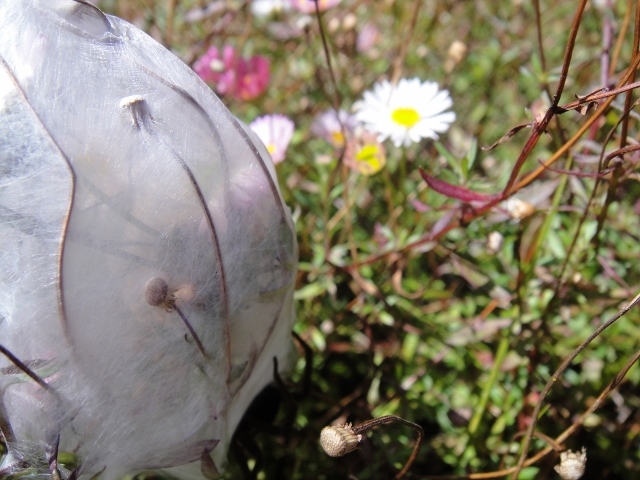 It’s so delicate, and so beautiful, this translucent silken cocoon. The spider itself is rather creepy and very large, so I am glad I never saw it! As long as it stays in the garden, that is fine. 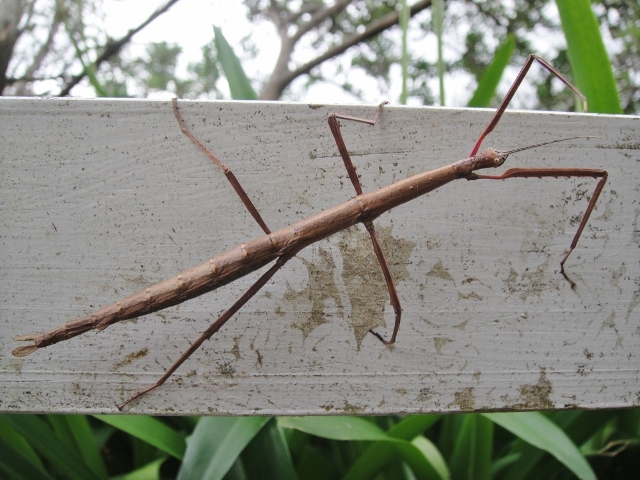 Female wetas are usually quite docile and slow, and she happily clambered on to a twig I offered her and then climbed to safety so I could continue weeding. Their bodies are actually very fragile, so I could have easily crushed her without intending to. Chickens absolutely adore eating them. This one was a nicely sized specimen. About 2 inches long. I spied it as I was coming back from hanging out the washing one morning, and thought it would make a nice photo. 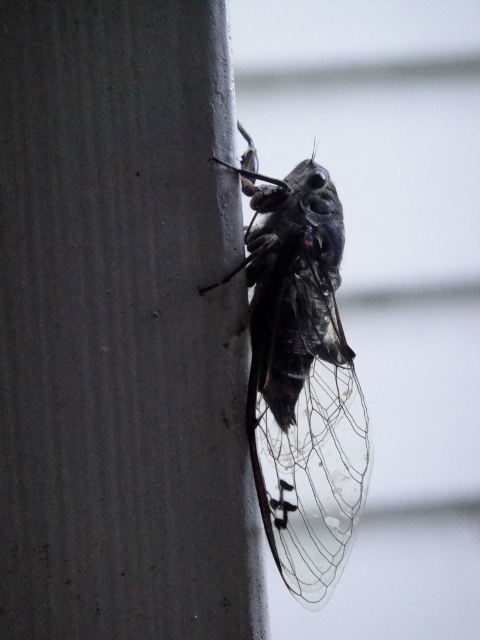 They’re about an inch long, not including the wings. My son has a great time catching them and looking at them after school, before releasing them to fly away. The older boy spied this beauty on the path today. 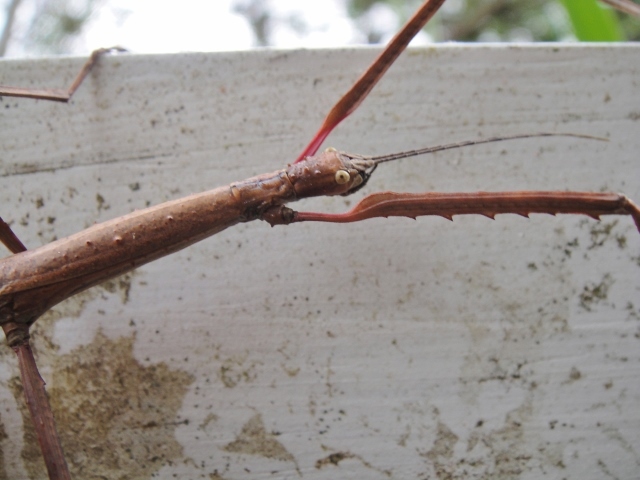 I think it’s the Acanthoxyla inermis, the same New Zealand stick insect that has found its way to South-West England, and has the distinction of the being the longest insect to be found in Britain. This one would be female, judging from its size. She was about as long as my hand. Love her little beady eyes! 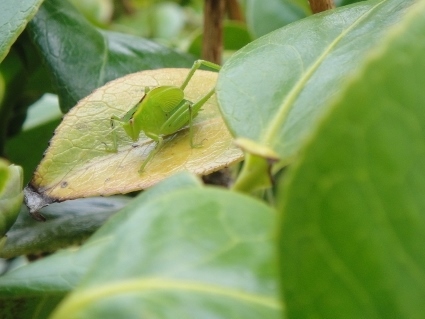 And finally, a little katydid nymph that I spied in the camellia bushes the other morning. So cute! I love being surrounded by the natural world. It makes me feel grounded, and real. 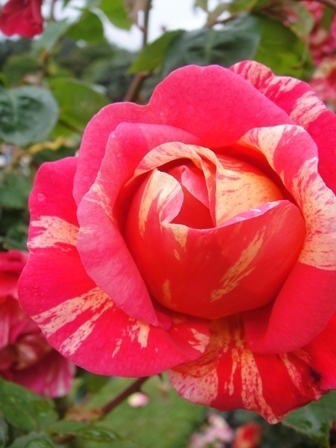 Such beautiful designs in nature, and such variety of colour and shape, way of life and patterns of living. Looking at these pictures gives me a massive “stress relief” moment. I thought I’d share them with you, in case you feel the same. I’ve knitted them a bit small for me. I’m giving them away. I have the ‘too many socks’ guilts. 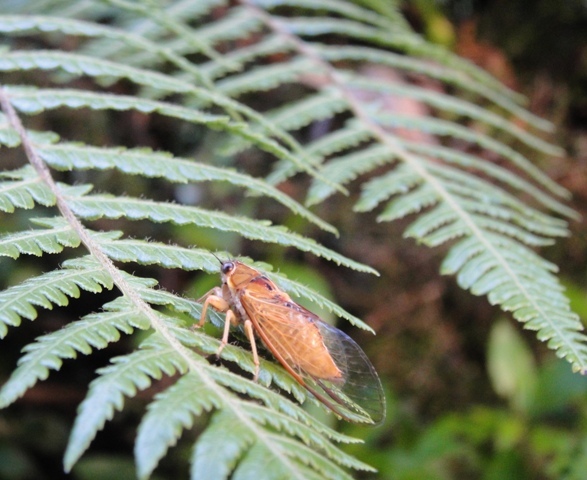 Categories: New Zealand natives, Socks | Tags: Knitting, New Zealand, New Zealand insects, New Zealand natives, photography, socks | Permalink. 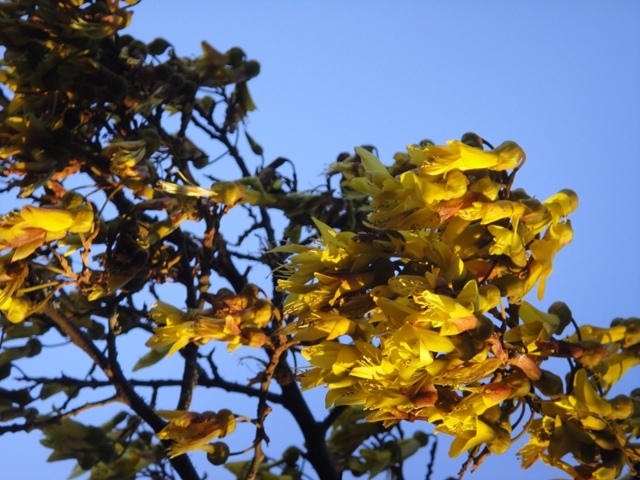 We were in the Wellington Botanical Gardens yesterday evening where there are a number of Kowhai trees in flower. 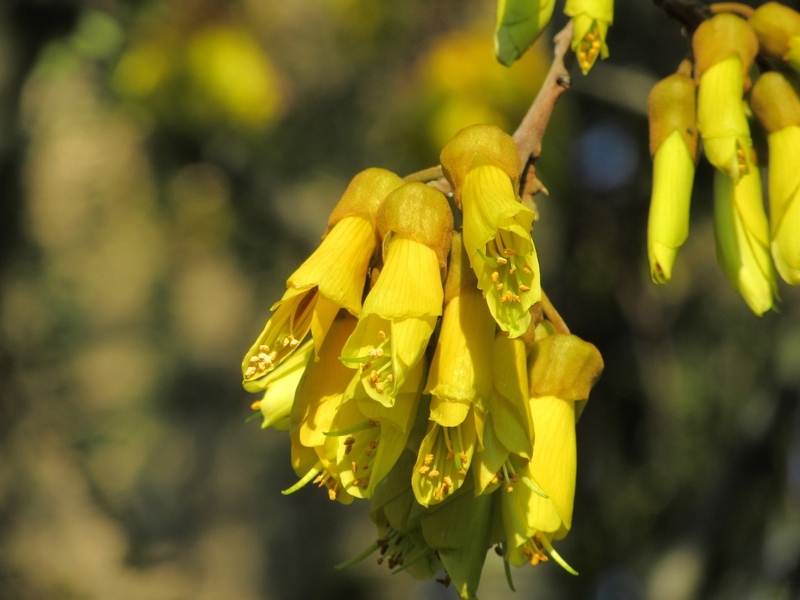 “Kowhai” (ko’fai) is the widely used Maori name for this tree. It means “yellow”. 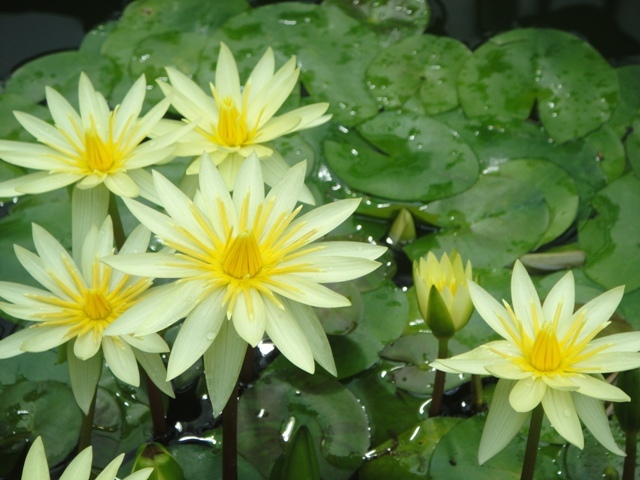 It flowers in Spring, a mass of beautiful yellow bell-shaped flowers. 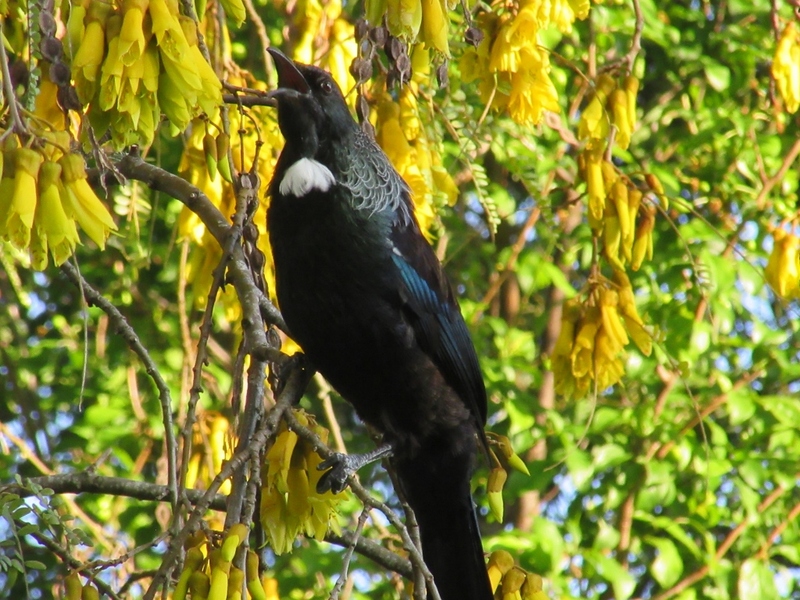 Nectar rich, they attract nectar loving birds from all over the city, particularly the Tui, one of New Zealand’s iconic native birds. 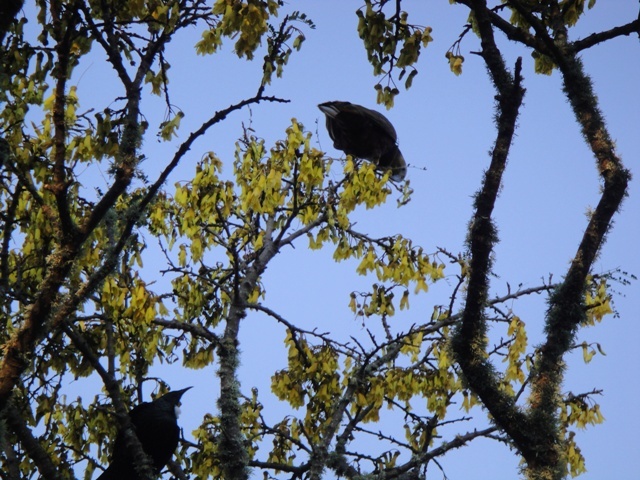 We were extra surprised to see this rare kaka (rhymes with baa) in the tree! 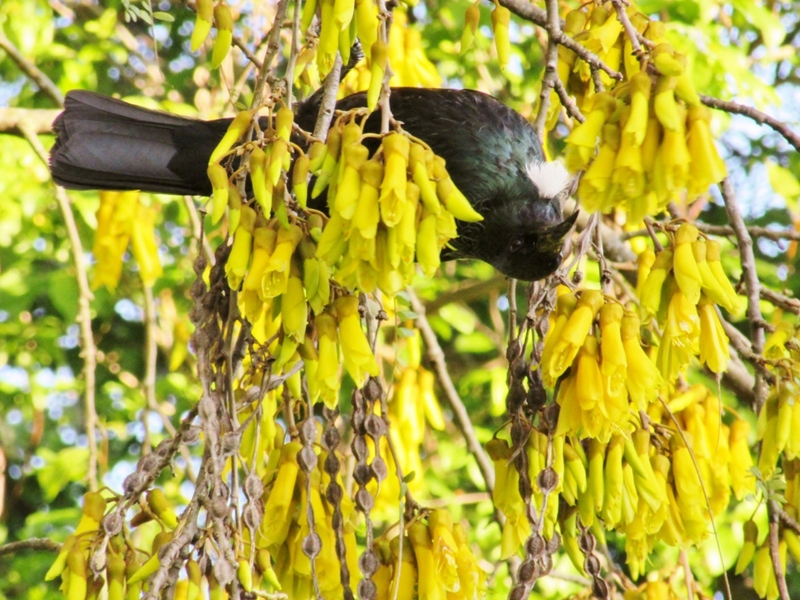 A worried tui (you can see him at the bottom of the picture) tracked it, seemingly saying “Hey, what are you doing?? That’s my food! Don’t eat it all! !” The kaka, a New Zealand native parrot, is an endangered bird. They have a typical raucous parrot screech, but they can also emit a beautiful clear melodic tone as well. 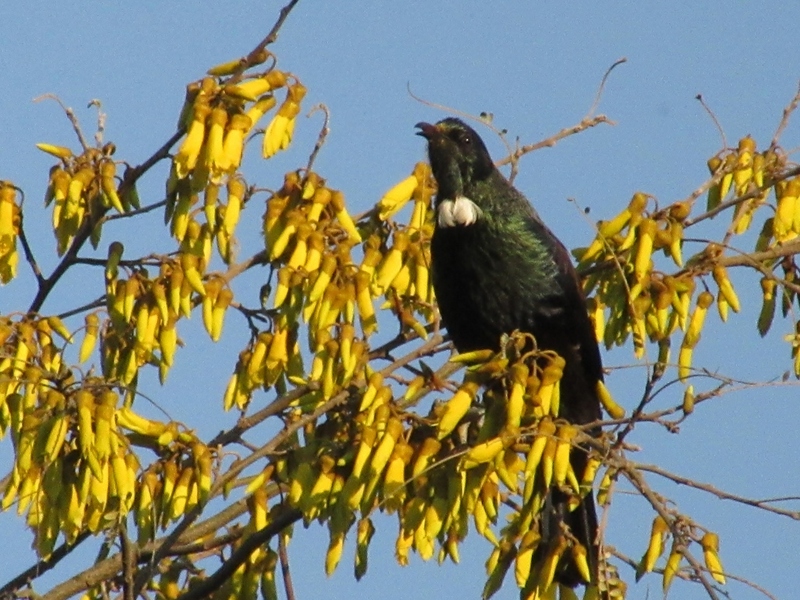 Thanks to the efforts of Zealandia (formerly the Karori Sanctuary) they are becoming quite a common site in this part of Wellington. If you click the link I’ve provided to Zealandia and wait a second or two, you should hear some lovely birdsong when the page opens up (including the tui’s). It’s birdsong that is thankfully becoming more common in suburbs around the sanctuary (including mine) as the birds branch out from their base. 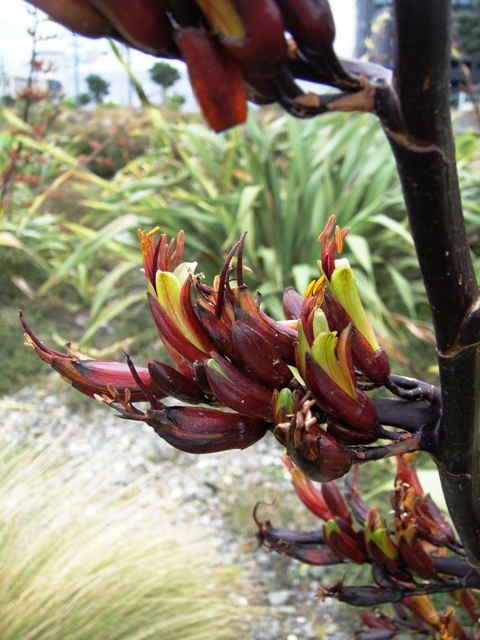 Zealandia is not caged in – there is predator-exclusion fencing, but the birds are free to fly in and out they please. 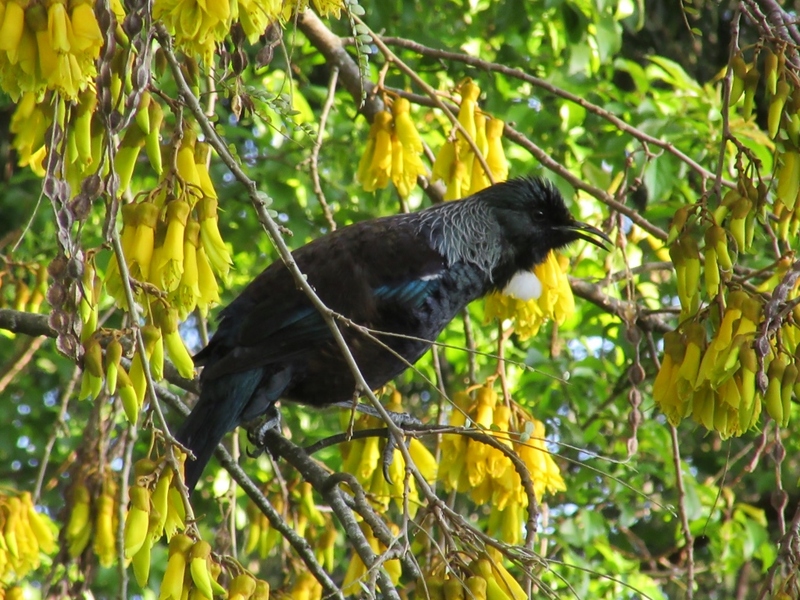 Here’s a better pic of the tui. Such a pretty bird! You can just see the white stripey collar and the iridescent black feathers that shine with a green tinge in the light. It was a lovely interlude on a gorgeous afternoon. Don’t forget – two more days before the giveaway closes. 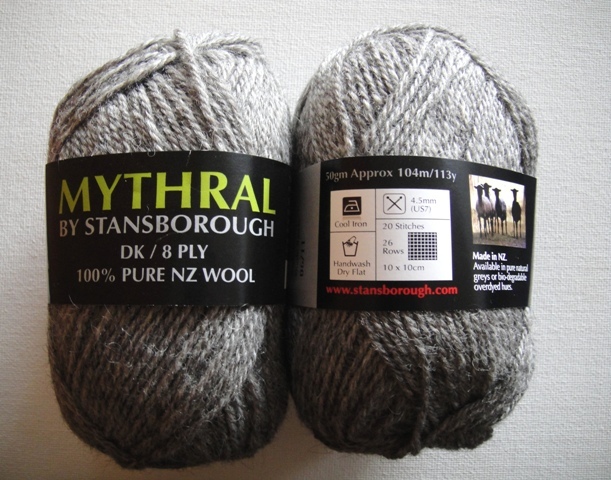 If you’d like the chance to try some New Zealand yarn for yourself, go ahead and leave me a comment as per the instructions! 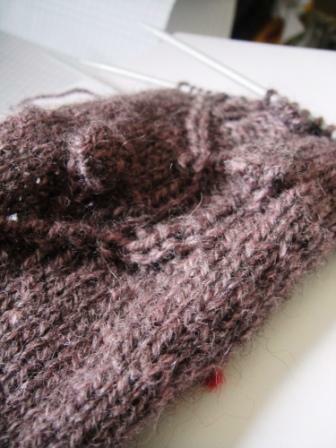 On the knitting front, some happy knitting has been taking place… I’ll be back soon with news on the knitting front. Categories: Uncategorized | Tags: birds, giveaway, Knitting, nature, New Zealand, New Zealand natives, New Zealand wildlife, plants, wildlife, Zealana, Zealandia | Permalink. 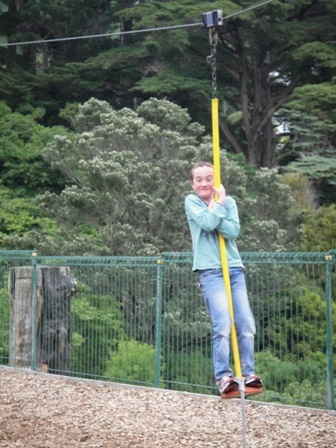 Eric had a day off school today. 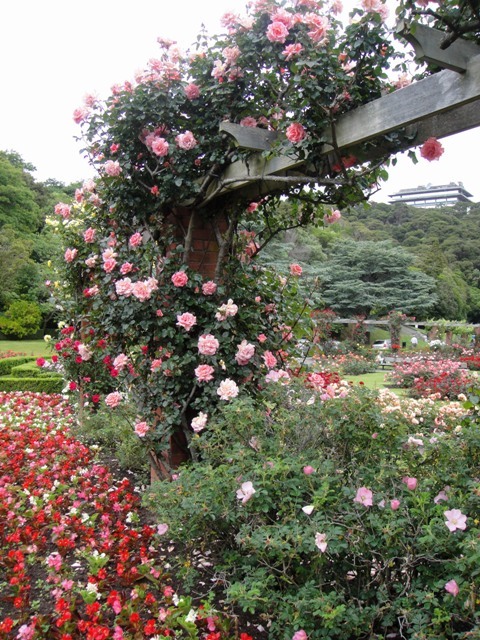 We were driving past the Botanical Gardens, and it occurred to me that it might be a nice day to visit. Eric thought it a good idea too. 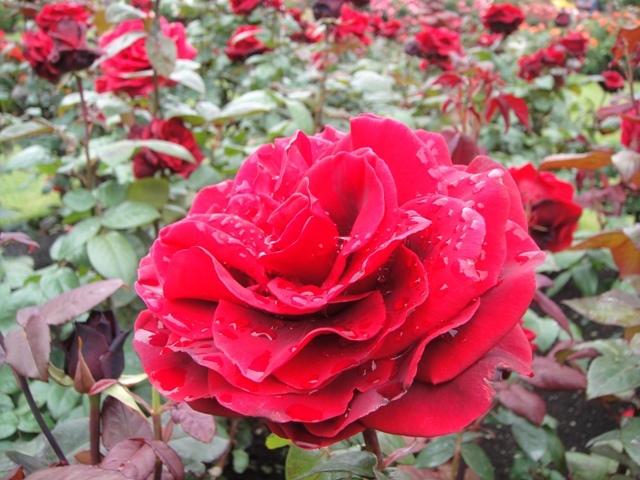 We drove in, and then I realised that of course, it’s Summer, and the roses were in full bloom! 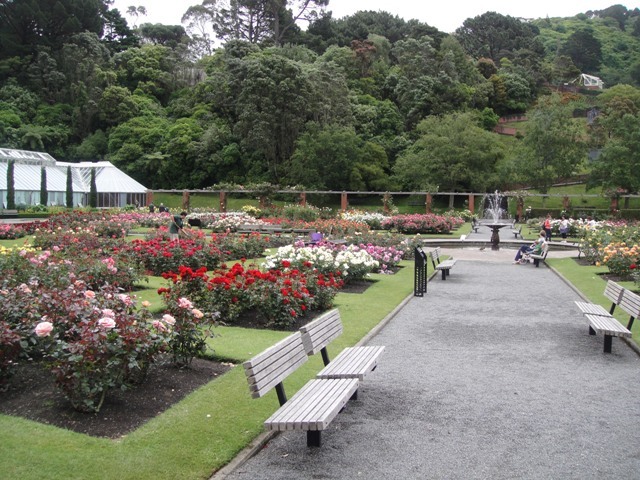 The gardens are right on the outskirts of Wellington’s central business district. They’re very convenient to access. A knitting group apparently meets here every second Sunday or so; I’m not sure if they still do. Don’t they have a fabulous setting though!? They were just like little bumble bees. Adorable! 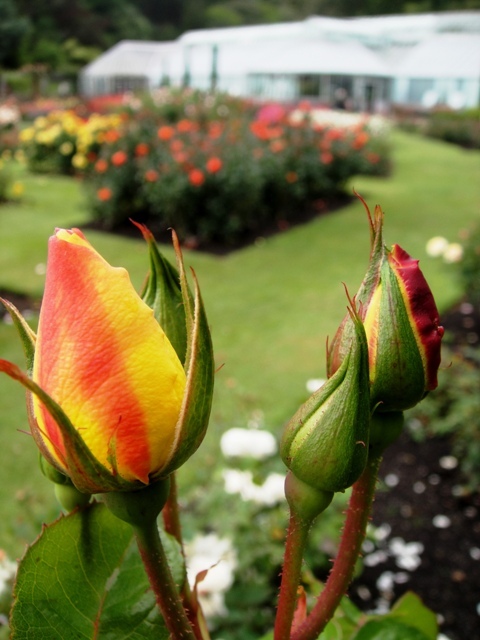 Eric spent all his time here watching them while I walked around admiring (and photographing) the roses. 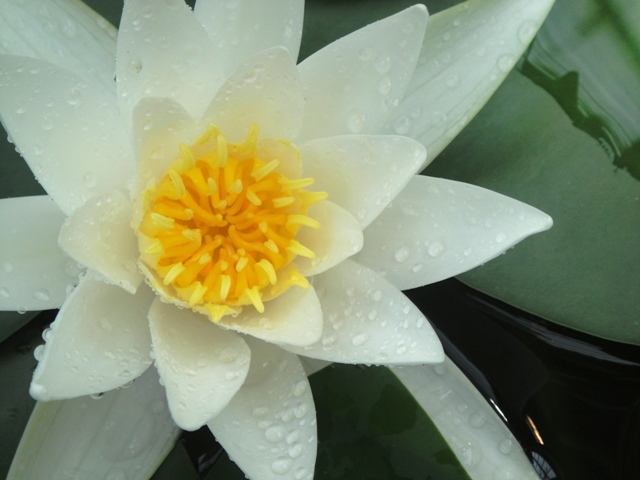 I think I’ve made mention of my abhorrence for lilies in the past (those horrid smelly things), but water lilies are a completely different thing! 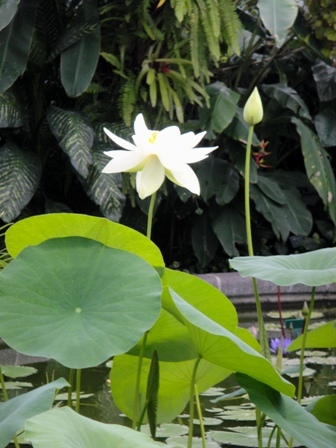 The lotuses made me hungry for lotus root. I miss that food! A myriad of guppies with fluorescent colours in their tails were swimming in the water. 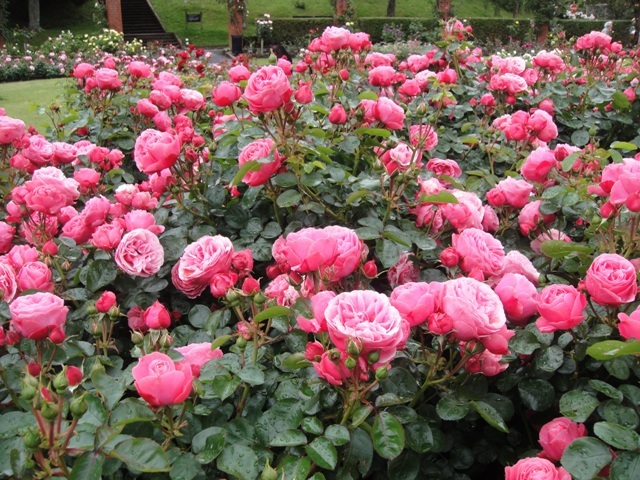 Eric spent ages admiring them. 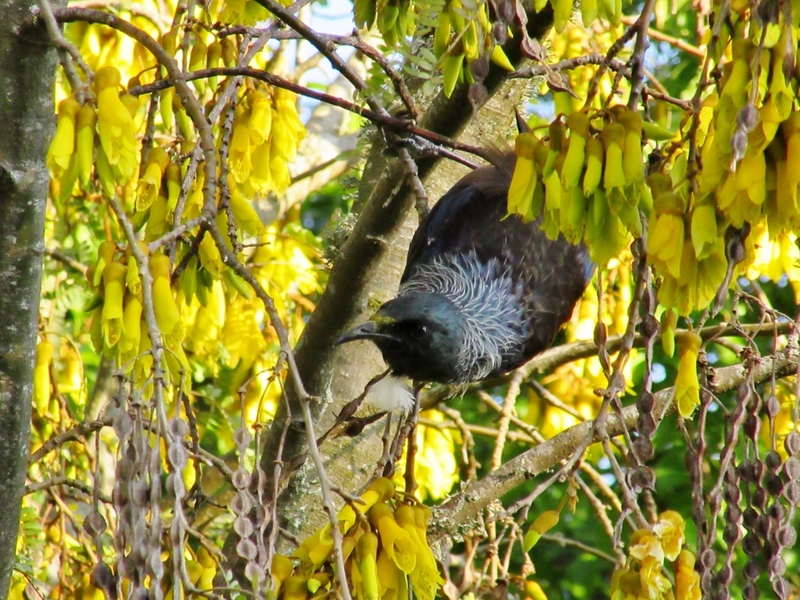 This part of the park is often inhabited by native birds like the New Zealand parrot (the Kaka), and the native wood pigeon (the Kereru). 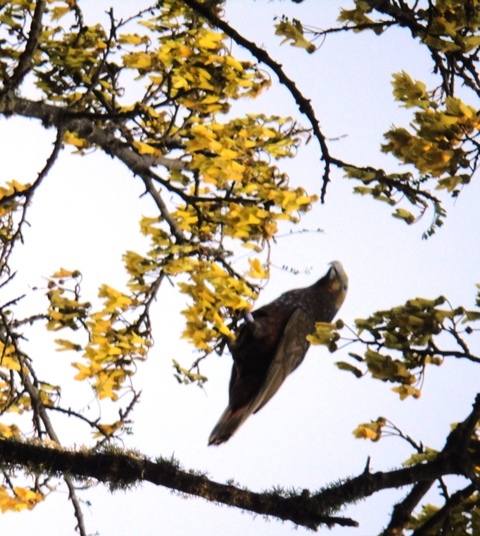 We caught sight of both these specimens flying overhead today. So lovely to see! 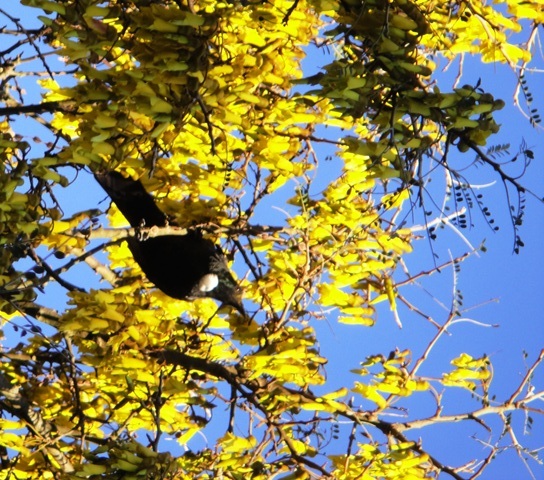 This forest tree has pink, juicy, cherry-sized berries that are adored by birds, including the Kereru, the Tui and the little wax eyes. There are benches positioned around the base of this tree, and I can imagine that when the berries are ripe in a couple of months, you’ll get some fruitful bird watching sitting there. It was a nice, unexpected interlude, and great quality time with my son. 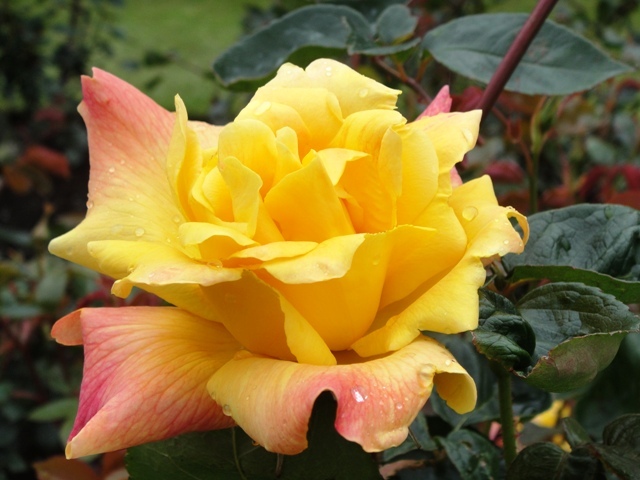 The beauty of nature is also wonderful inspiration for future knitting designs! 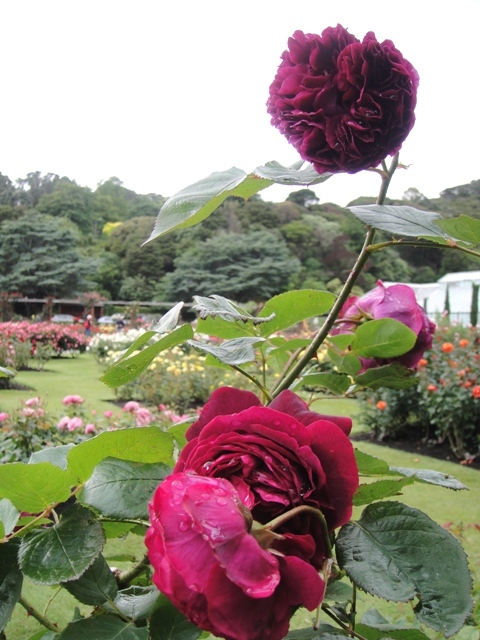 Categories: Country walks, Uncategorized | Tags: Botanical Gardens, inspiration, Knitting, New Zealand natives, photography, Rose Gardens, Wellington | Permalink. The winding braids of a river, the branches of a tree, the veins in a leaf, even our own blood vessels for that matter, are fractals. What interests me about fractals is that they are by and large courseways, or natural lines of energy flow. I find them fascinating. In knitting, more than one designer has been inspired by fractals. Norah Gaughan’s beautiful book Knitting Nature explores many aspects of natural form and she has turned those inspirational elements into gorgeous things for us to knit. 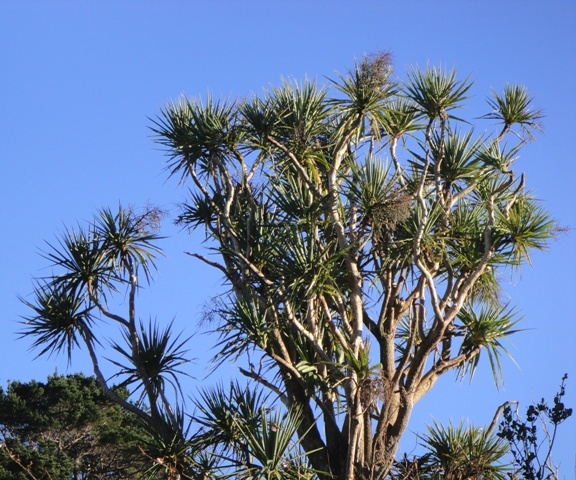 I love the seeming random pattern of the branches of this cabbage tree. 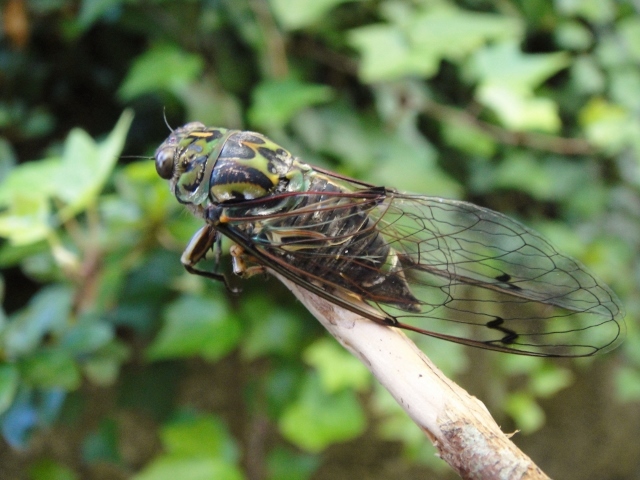 Another cicada with beautiful wings (I love these guys). Science aside, they simply inspire and delight me. What do you think I’ve decided to do with it? 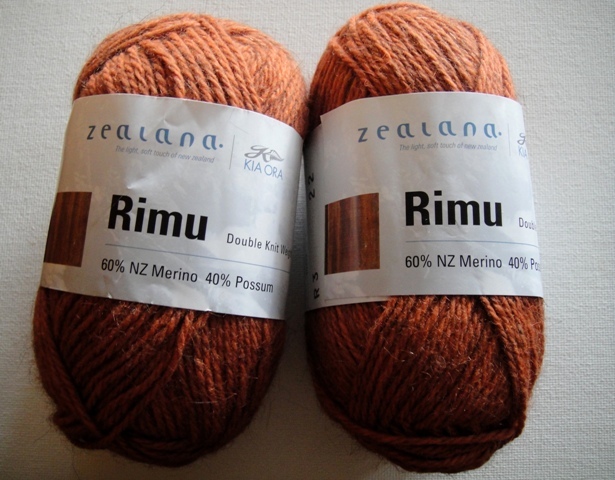 Categories: Inspiration, Knitting, Wool | Tags: designing, inspiration, Knitting, New Zealand, New Zealand natives, photography, Wool | Permalink.